The arrival of a new baby is exciting for everyone involved, from the expectant parents and their immediate family, to friends and work colleagues that are no doubt keen to meet the little one. It’s only natural during this time to want to bestow the baby and its parents with gifts; buying presents is a great way to show that you care, and to ease those first weeks and months that are filled with pressure, doubt, and endless shopping trips. However, how do you know what to buy for a baby, or the kinds of gift that will be appreciated most by the expectant parents? 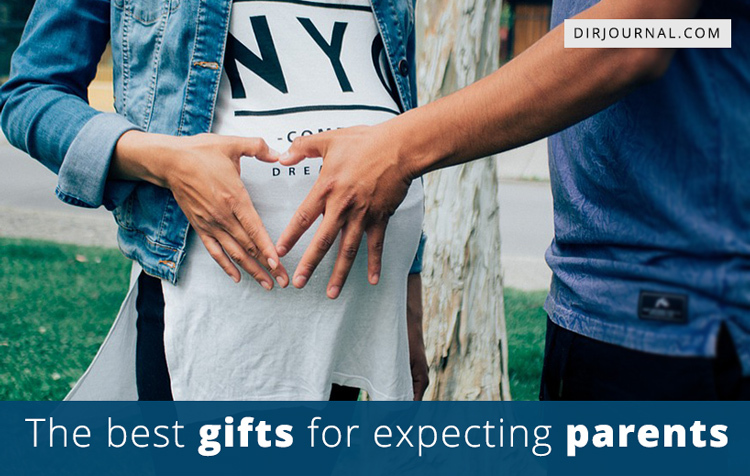 While there are numerous items that expectant parents are likely to need in the lead up to their baby arriving, and during their bundle’s first weeks and months, some make better gifts than others. Moms and dads-to-be will often want to choose bigger and more expensive items, such as cots, nursery decorations, and soft furnishings, for themselves, rather than entrusting their purchase to anyone else. Such a move ensures that they end up with items that they’re going to use and cherish while saving friends and family members time and money, but it does leave one important question unanswered: just what should you buy expectant parents? Luckily for anyone eagerly anticipating the arrival of a friend or relative’s baby, there are still some great gift ideas to be found out there – as long as you know where to look. Some of the most popular and well-received gifts are those comprising the essentials, whether they’re presented as baby bundles, a hamper, or a decorative baby cake with any number of tiers. It’s almost impossible for expectant parents to have too many nappies, sleep suits, vests, tiny pairs of socks, pacifiers, or toiletries, and the addition of a teddy, blanket, or keepsake toy completes the gift. If you’d like to be a little different, and are confident that you know the mom-to-be’s style, why not choose a diaper bag and fill it with all those essentials and a few other goodies? Diaper bags come in so many shapes and sizes these days that they’re a present in themselves, with retail and online stores offering more variety than ever before. Babies tend to need an awful lot of outfits during those early months, and so gifts of sleep suits, vests, woolly hats, and cardigans are often greatly appreciated, as are whole outfits that could be worn a little further down the line. It’s a good idea to buy clothing a little larger than baby requires it to be; little ones grow so fast that items bought to fit them from birth will seldom last long enough to be appreciated. In terms of toys, keep in mind that mom and dad may wish to bestow that first teddy bear, or gift their own from childhood, and that there will be numerous other soft toys waiting in the wings. Instead, choose books, sensory toys, and games that are going to aid development, as such items can be treasured beyond those newborn weeks. Beyond clothing and essentials, memory boxes, photo frames, and keepsake gifts are among the most popular items bought for new babies, enabling our loved ones to capture the first moments of their child’s life and savor it for a lifetime. Fingerprint jewelry, kits for capturing first handprints and footprints, baby books, trinket boxes for that first lock of hair, and personalized photo frames will let the expectant parents know that you care, and will give them a gift that they can really look forward to using. While it may not seem like the most imaginative present, a gift card will be greatly appreciated by any new parents, particularly if it could be spent online, via a top mom and baby store, or at a hypermarket to stock up on essentials. When it comes to welcoming a new baby into the world, many of us struggle to choose gifts that will be received well, or will be useful, to the family in question; gift cards eradicate the need to choose a specific item, and can be spent in any way that the new parents desire. In all the excitement of welcoming a new baby, it can be so easy to forget mom and dad and to put all your effort into choosing the perfect gift for the baby. Though the expectant parents will no doubt be thrilled that you share their excitement and already adore their new baby as much as they do, now is a great time to consider buying a small gift that will show that you treasure them as much as you do their bundle of joy. Toiletries and comfort essentials that could be used during hospital stays or in the weeks post-birth, such as bubble bath, slippers and a robe, as well as chocolates, non-alcoholic wine, and a new DVD to be savored prior to baby’s arrival will show that you’re thinking of mom and dad. Whether the expectant parents are close friends, relatives, or work colleagues, choosing the perfect gift to welcome a new baby can be difficult; from baby essentials and personalized keepsakes, to gift cards and a present for mom and dad, there’s a lot more scope than you may think when it comes to celebrating that bundle of joy’s arrival.